The TM822R is a telephony modem designed for XFINITY customers desiring to own their device. Using DOCSIS 3.0 technology the TM822R provides high-speed data service using bonded send and receive channels for greater bandwidth. The TM822R includes 2 Voice ports for 1ST and 2nd line telephony services. A battery backup option is available to provide emergency services in the event of a power outage in the home. Using multi-processor technology, the TM822R can achieve High bandwidth performance without affecting Voice quality, a historical ARRIS product standard for the best in service performance. The TM822R is a telephony modem designed for XFINITY customers desiring to own their device. Using DOCSIS 3.0 technology the TM822R provides high-speed data service using bonded send and receive channels for greater bandwidth. The TM822R includes 2 Voice ports for 1ST and 2nd line telephony services. A battery backup option is available to provide emergency services in the event of a power outage in the home. Using multi-processor technology, the TM822R can achieve High bandwidth performance without affecting Voice quality, a historical ARRIS product standard for the best in service performance. The SURFboard SVG2482AC is the first retail Wi-Fi modem to feature RDK-B and is optimized for use with XFINITY Internet & Voice Service. RDK-B is an open-source software standard for accelerating the delivery of the latest entertainment and broadband services. It enables cable Internet providers to quickly and efficiently deliver next-gen products and services directly to the devices on their network. 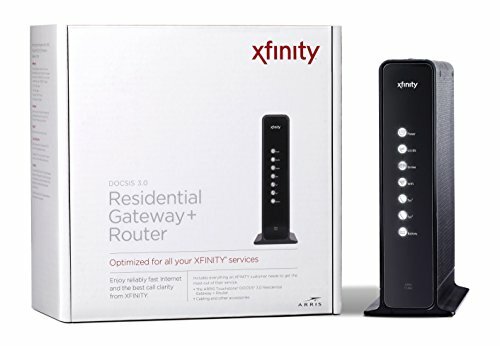 With Wi-Fi speeds up to 1750 Mbps, download speeds up to 1 Gbps and 2 telephone lines, the SVG2482AC is the perfect solution to kick your XFINITY home network into high gear! Add a battery backup (sold separately) for guaranteed coverage during power outages. Put the power back in your control with SURFboard. 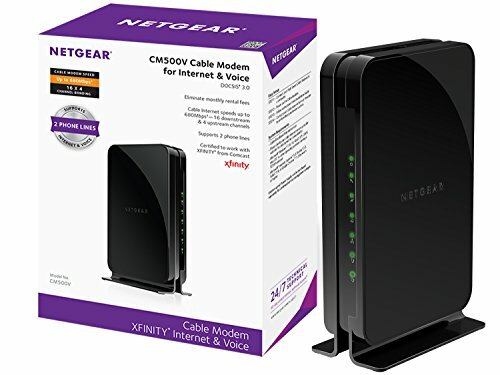 The NETGEAR CM500V Cable Modem for Internet & Voice provides a connection to high-speed cable Internet with speeds up to 680 Mbps and supports 2 phone lines. It is CableLabs certified DOCSIS 3.0 that is 16X faster than 2.0 devices. A Gigabit Ethernet port provides faster access and downloads. The TG862R is a telephony Gateway designed for XFINITY customers desiring to own their device. Using DOCSIS 3.0 technology the TG862R provides high-speed data service using bonded send and receive channels for greater bandwidth. The TM822R includes 2 Voice ports for 1ST and 2nd line telephony services. It also includes a N300 2.4GHz Wi-Fi Router for light moderate duty applications, but can be disabled to use a separate Router if needed. A battery backup option is available to provide emergency services in the event of a power outage in the home. Using multi-processor technology, the TG862R can achieve High bandwidth performance without affecting Voice quality, a historical ARRIS product standard for the best in service performance. 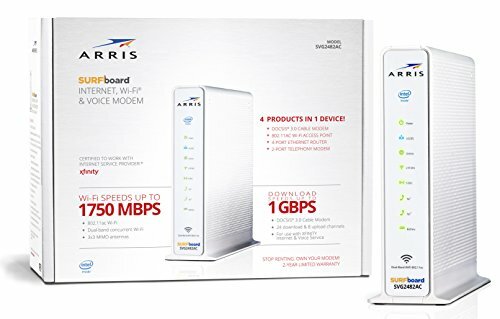 The ARRIS SURFboard TM822G is 2 products in 1: a DOCSIS 3.0 cable modem, capable of download speeds up to 343 Mbps, plus a 2-port telephony modem. 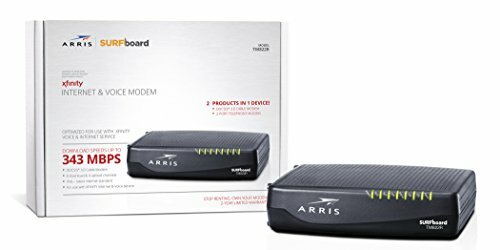 Arris, the worldwide leader in cable modems, developed the TM822 for XFINITY from Comcast subscribers. Optimized for use with XFINITY from Comcast Internet & Voice service, it provides your connection to the Internet plus 2 telephony lines for Voice over IP (VoIP). battery backup options (sold separately) provide Peace of mind during power outages. 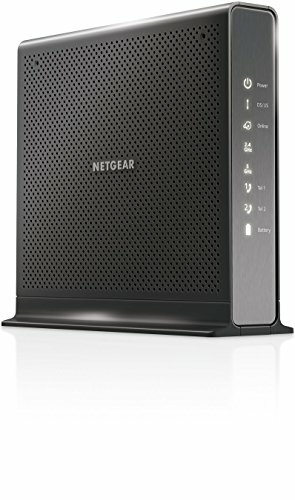 Save on monthly rental fees and Buy your modem today! 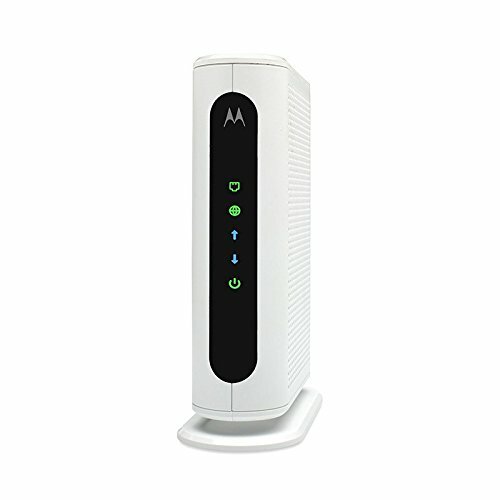 Compare prices on Phone Internet Modem at ShoppinGent.com – use promo codes and coupons for best offers and deals. Start smart buying with ShoppinGent.com right now and choose your golden price on every purchase.